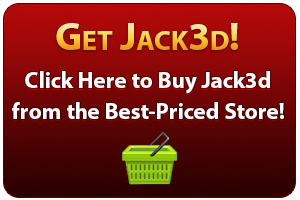 Question: Once I have mixed Jack 3d how long is it stable or must I drink it immediately? This is a great question. The stimulants will be fine in water, so you’ll definitely “feel” the effects of Jack3d if you keep it in water. However, the ingredient that’s most at risk is the creatine. Creatine will definitely degrade when in liquid — that is fact. It gets converted into creatinine, which is its ‘useless’ byproduct. There’s tons of arguments on how fast this happens, but the fact is that it does happen. The science is that it really depends on the pH of the water, so nobody really ‘wins’ that argument since everyone’s water is a bit different. If the water has a pH of less than 7 — then it’s considered acidic, and it will degrade within a few hours. It will be slower at higher pH water. The other options are to get small baggies (there are some great ones on Amazon), or just bring the Jack3d tub around since it’s small anyway.